Bunnies by the Bay: A sweet and sporty look with a cozy collar that joins together with soft floppy ears. Bunny pockets just the right size for busy hands are stitched on front. 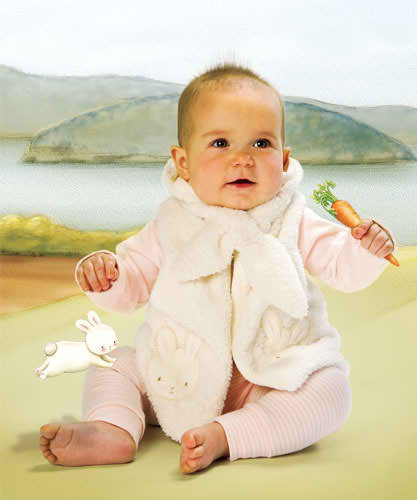 Details include – cream fleece fur, cream knit lining, button neck closure. Machine wash cold & tumble dry low heat.